FORT LAUDERDALE, FL – South African Airways Vacations® (SAA Vacations®) launched its 2017 Collection brochure, featuring an expanded portfolio of air-inclusive vacation packages to a variety of destinations throughout Southern and East Africa. The new 2017 brochure features 15 pages of product information on South African Airways (SAA) and South African Airways Vacations®, along with highlights of their most popular value-packed vacation packages. For the third consecutive year, SAA Vacations® is offering a digital version of the Collection brochure to make it easier and more efficient for both travel agents and consumers to book an African vacation of a lifetime. For 2017, SAA Vacations® is offering over 70 affordable packages that feature a multitude of experiences throughout Africa including, adventure, culture, wildlife, culinary & wine tour, honeymoon and family safaris. All SAA Vacations® packages include round-trip air transportation on award-winning South African Airways, with origins from over 100 cities in the U.S., as well as hotel accommodations, airport transfers, sightseeing and a safari experience on selected packages. “South Africa Sizzler” - This 9-day / 6-night package is designed for those travelers who want an affordable package to explore Cape Town and experience the thrill of a South African safari. The package starts at $1,999* (restrictions apply) per person and includes four-nights in Cape Town and two-nights at the Kwa Maritane Bush Lodge near the Pilanesburg National Park. “Wine and Safari” - This vacation package begins with a three-night stay in Cape Town, a full-day tour of the Cape Peninsula and the Cape of Good Hope. Then off to South Africa’s wine region with a two-night stay in the historical town of Stellenbosch and a private Winelands tour. The experience continues with a safari and accommodations at Kapama River Lodge for a three-night stay near the world-famous Kruger National to enjoy morning and afternoon game drives to view Africa’s Big Five. The 11-day / 8-night package starts at $3,699** (restrictions apply) per person. “Affordable Botswana” - Spend six nights in Botswana covering the country’s most celebrated game viewing destinations including; the Okavango Delta, the Moremi Game Reserve and the Savute Channel in the Chobe National Game Reserve. This 9-day / 6-night package includes all games drives, most meals and national park fees and starts at $6,599*** (restrictions apply) per person. 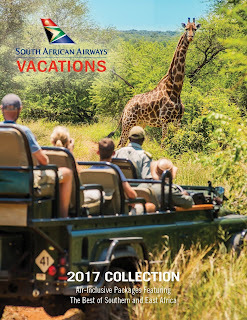 The South African Airways Vacations® 2017 Collection brochure is available online, click below. 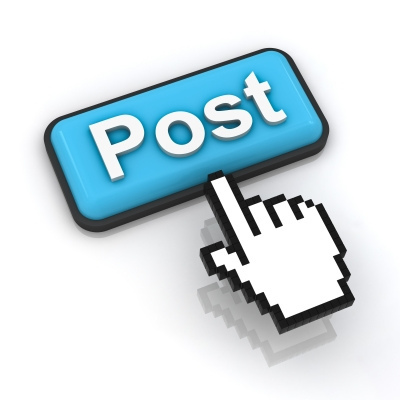 All advertised air-inclusive packages are commissionable and can be customized for both groups and individuals. Tailor made itineraries are our specialty and our team of Africa Specialists are standing by to assist you in creating a vacation of a lifetime.